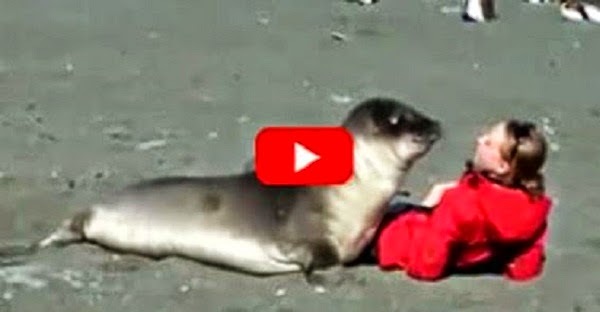 A woman touring South Georgia Island is befriended by a seal. The animal, which appears to be a young female elephant seal, affectionately says "hello" and wants to get close to her while she is sitting on the beach. This unusual animal encounter was filmed in Gold Harbour on South Georgia Island, which is a sub-Antarctic Island. They found trust in each other and this video shows that humans and animals are not so different. Truly amazing!